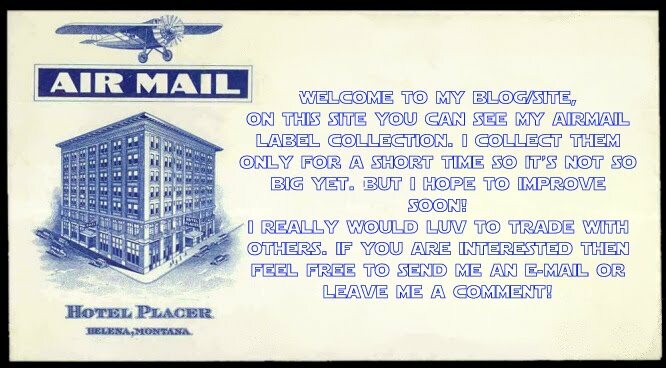 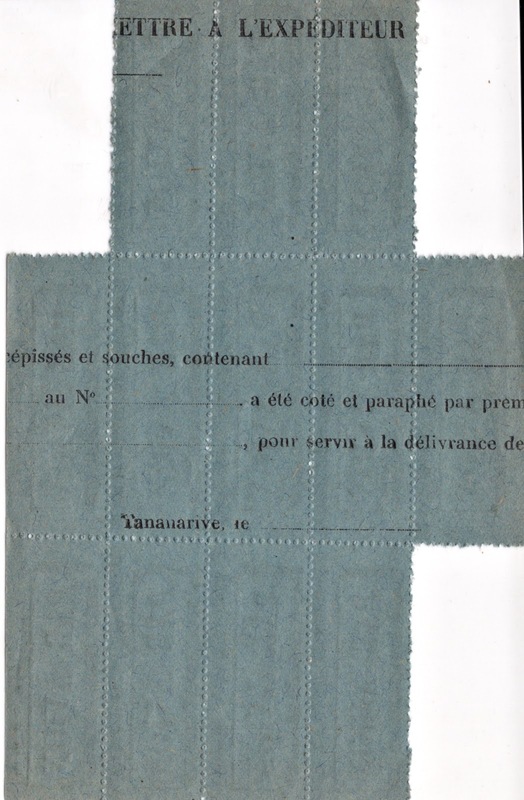 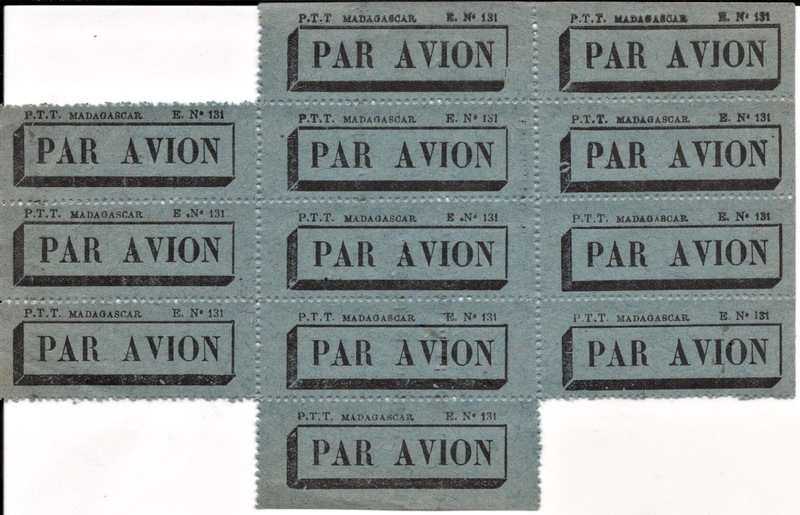 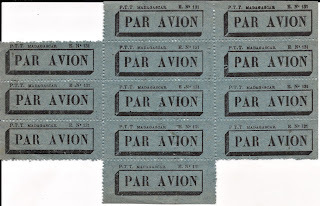 Here are 2 sheets of airmail labels from Madagascar. 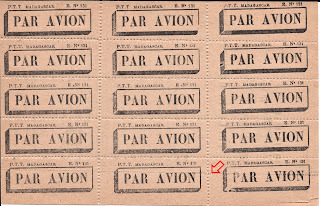 One is complete with 15 labels and the second one missing 3 labels. 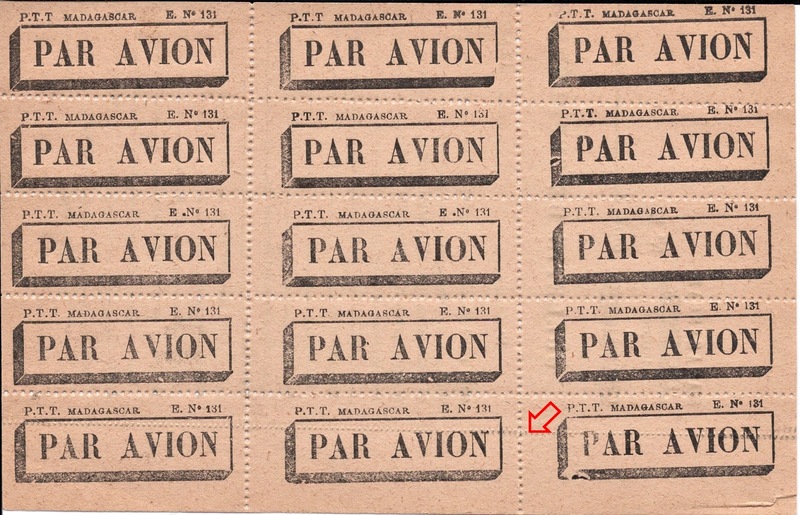 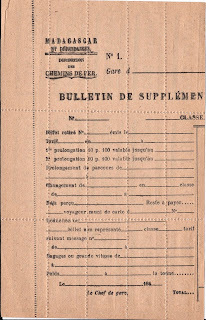 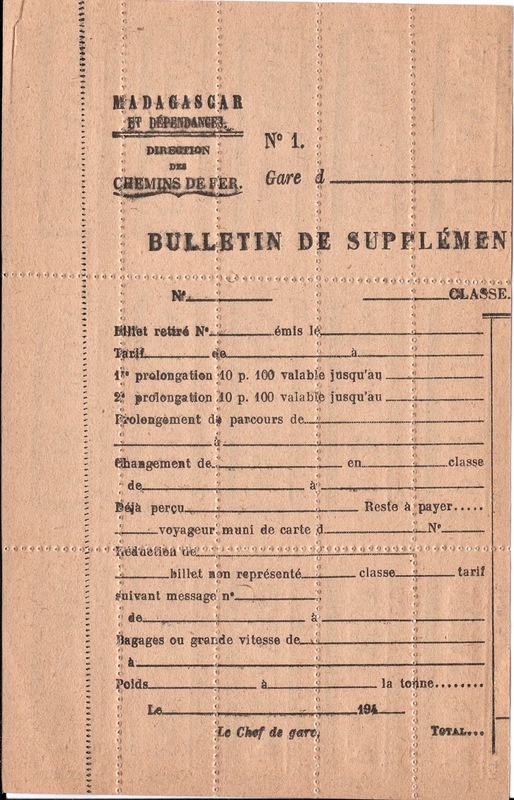 It looks like the labels were printed on some old sheets from other documents as you can see on the scans below.